A woman originally charged with murder for allegedly delaying a Caesarean section that could have saved one of her twins was sentenced Thursday to 18 months' probation for lesser counts of child endangerment. Melissa Ann Rowland also was ordered into a drug treatment program, which she will attend in Indiana, said her attorney, Michael Sikora. Prosecutors dropped their capital murder charge against Rowland earlier this month based on her mental health history. Rowland pleaded guilty to two counts of child endangerment and admitted using cocaine in the weeks before she underwent the C-section in January that produced a stillborn boy. 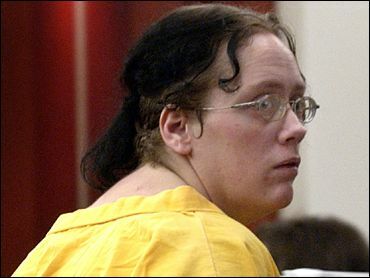 Rowland did not speak during the proceedings, but Sikora spelled out for the court Rowland's mental health history, dating from age 12 when she was first institutionalized. He said Rowland's self-destructive behavior has continued into adulthood, and there had been recent suicide attempts in jail. District Judge Dennis Fuchs called it a travesty that the system "can't adequately deal with individuals like Miss Rowland." He described her as someone who has repeatedly fallen through the cracks. Fuchs denied a request by the prosecution that Rowland be barred from contacting the surviving twin, a girl who was adopted shortly after birth. The child was found with cocaine and alcohol in her system, and Rowland's drug use while pregnant was the basis for the child endangerment charges. Outside the courtroom, Sikora said the sentencing was appropriate. "It got her what she most wanted, which was to get out of jail," he said. Salt Lake County prosecutor Robert Stott called the case a tragedy for Rowland's children. The National Organization for Women, Planned Parenthood and the American Civil Liberties Union and others have said prosecutors went too far in charging her with murder, calling the case a back-door effort to undermine abortion rights and an attack on a poor, possibly disturbed woman. The Salt Lake County district attorney's office defended the initial decision to file the murder charge, claiming the state only subsequently learned of Rowland's mental illness and that prosecutors don't have the resources to probe the mental health of all defendants before charges are filed. Some women's advocacy groups said Rowland should never have been targeted for having a drug problem, nor allowed to linger in jail where she couldn't receive needed mental health services.